As 2019 begins, it is time to set yearly intentions, resolutions, and exciting plans for the brand new year ahead. This includes looking after and treating yourself, as you cannot pour from an empty cup! Consider taking your yoga and your self-care practice deeper with a Yoga Retreat on the island of the Gods. 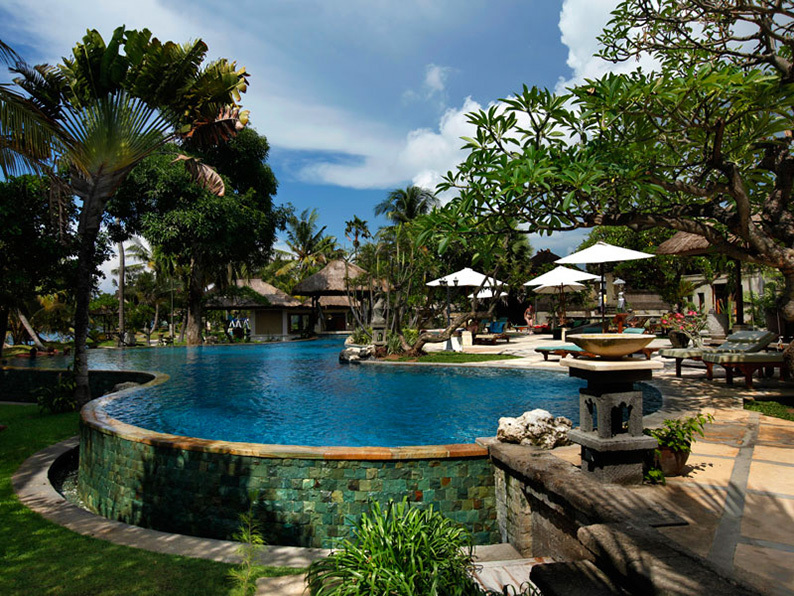 Enrich your yoga practice in blissful paradise at one of Bali’s most celebrated resorts, Desa Seni. Nestled in the beautiful, slow-paced village of Canggu known for its stunning beaches, vibrant surf, and terraced rice fields. Have your retreat lovingly tailored to suit your needs and goals by passionate wellness therapists and talented yoga instructors, so that you can go back out into the world feeling a deep sense of connection and rejuvenation. Immerse yourself in your yoga practice with customised private sessions with your teacher held daily in the open-aired studio. Learn how to adapt your practice on your mat with alignment and adjustments no matter your level. Try a peaceful meditation class, a group yoga class, or indulge in treatments at the spa for an extra sprinkling of self-love. Delve further into your practice and embark on your own personal wellness journey so that you can glow from the inside out. Start your inner journey in the heart of quintessential Ubud among iconic rice paddies where harmony and nature await you. The Blue Karma ecolodge is surrounded by fragrant plants and tropical fruit trees 3.5 km from the centre so that you can experience nature’s perfect peace. Practice yoga daily in the Karma Yoga Pagoda and learn breathing techniques to release negativity. Understand how to cultivate simple philosophy to help you create real and lasting change into your life. 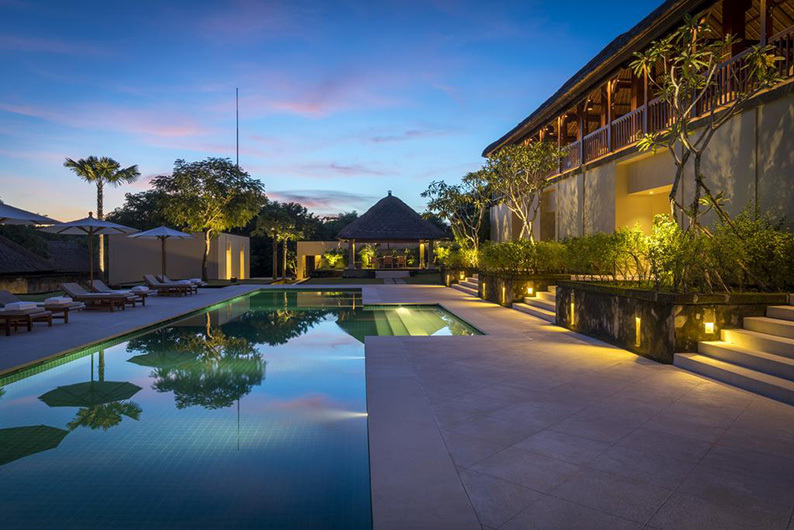 Stay in traditional Javanese huts updated with modern flair and comfort. Choose from Balinese, Deep Tissue, or a Hot Stone massage each day during your stay, as well as learning traditional Balinese healing practices. Let go as you go on your inner journey and let your divine spark shine through. Hop over to the tranquil northern area of the island for the perfect place to find a retreat that seamlessly blends together yoga, pristine beaches, and a dose of adventure. This really is the retreat to reinvigorate and revitalise as you’ll be able to taste delicious food, practice yoga daily and wander among untouched coastline. Unleash your creative flair with a complimentary hat and sarong making workshop, so you can take a little bit of Bali home with you. Unwind with a traditional Balinese massage and experience a magical Dolphin Watching Tour as an addition to your stay. 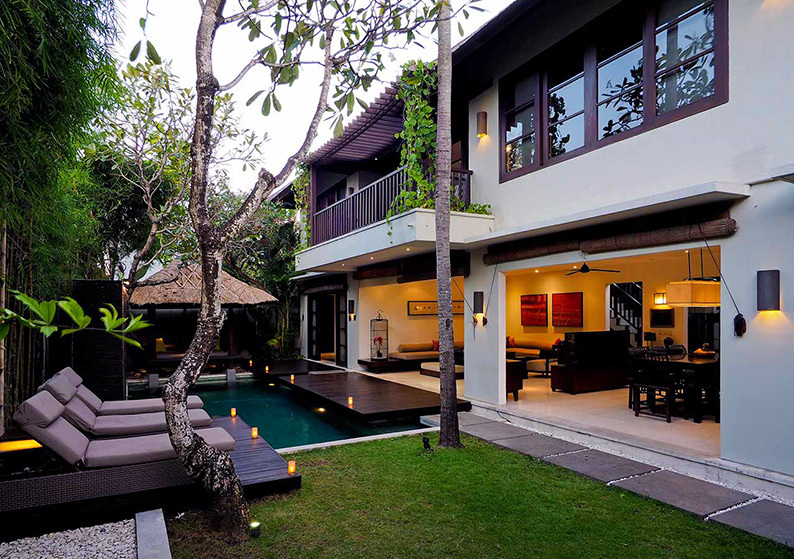 As Puri Bagus Lovina Villa Resort is located away from the major tourist-hub you’ll be feeling serene and restful in no time. 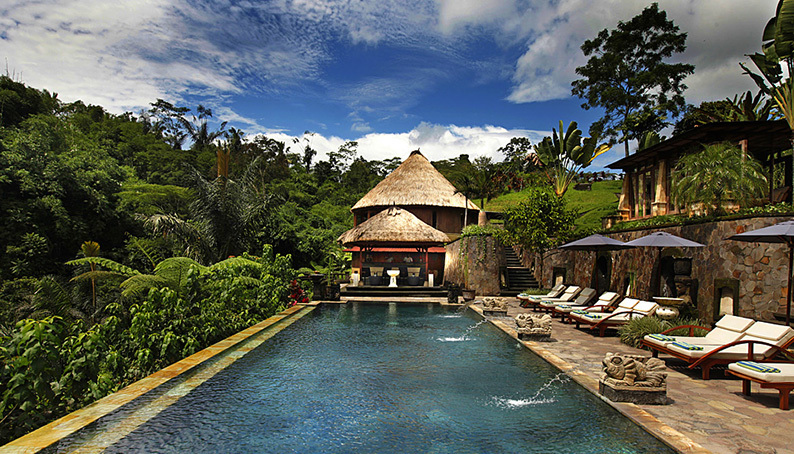 Experience natural healing powers among the jungle and mountains in the cultural hotspot of Ubud. Bagus Jati is all about enriching spiritual renewal and traditional holistic healing to give you revived inspiration on your wellness journey. 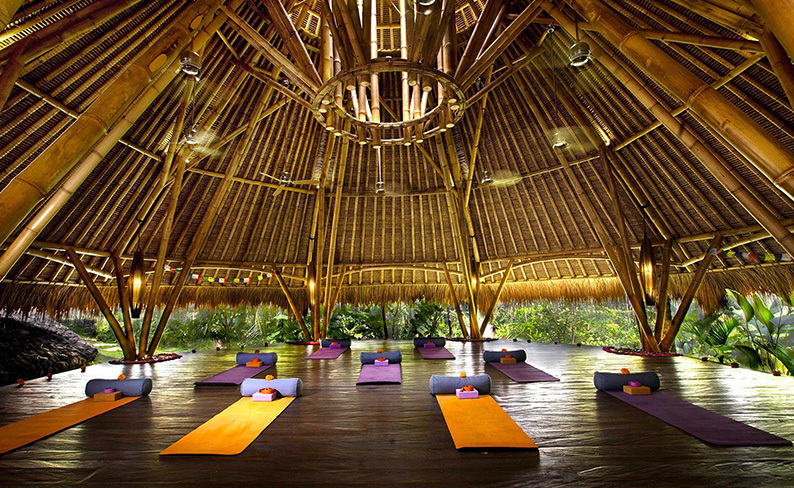 Wake up to a morning yoga class and exotic birdsong as you experience a gentler flow of life. There are several yoga pavilions dotted around the centre so you can move and breathe among Mother Nature. As well as being a world-class health, wellbeing, and spa resort, on-site is the Surya Restaurant. Where meals are created with the freshest herbs and spices from their own organic garden to tantalise your taste buds. Fall in love with celebrating the nature all around you at Bagus Jati and breathe it all in. Invite true luxury into your life with a retreat at the Amala boutique Resort where you are welcomed to savour pure bliss and unparalleled serenity. Unwind with holistic treatments and traditional practices including Tibetan Bowl Music therapy, Reiki, Pranayama, Acupuncture, and Meditation. Enjoy the full Detox Purification Ritual Spa package as well as daily yoga sessions to connect your body, mind, and spirit. Explore the private plunge pool, jacuzzi, and herbal steam shower at the spa or slip into deep relaxation with a complimentary massage. Their philosophy is to ‘achieve health through harmony’ and it is clear to see that this concept is at the heart of all they do. 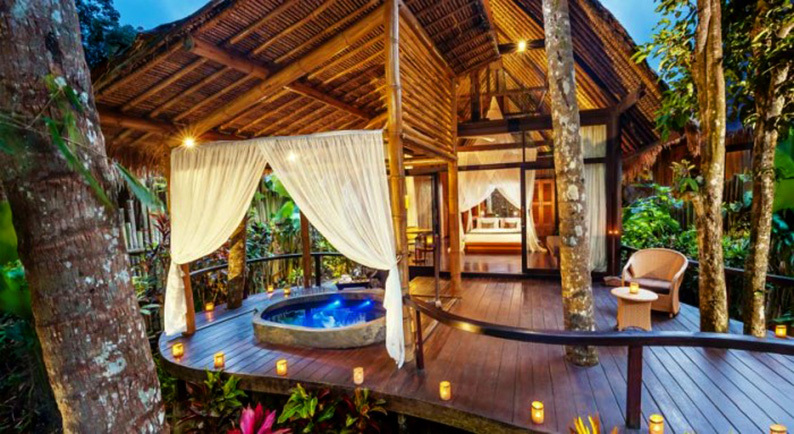 Connect deeply to your spiritual, emotional, and physical well-being using ancient Balinese healing therapies at the eco-conscious wellness sanctuary Fivelements, located in the spiritual home of Ubud. Nourish your body with raw foods that will enhance your natural healing ability from the kitchen to your plate. Attain balance, equanimity, and inner strength from local healers that have a deep knowledge of ancient traditions and know how to inspire real transformation. Discover your own path to healing with a personalised wellness consultation, as well as exploring energetic healing practices, water healing, and massages. Unlock your potential with a sacred arts session and multiple yoga and meditation classes throughout your retreat. This signature programme takes place on the banks of the Ayung River and is set among indoor and outdoor areas so you can experience the natural wonders of Bali. 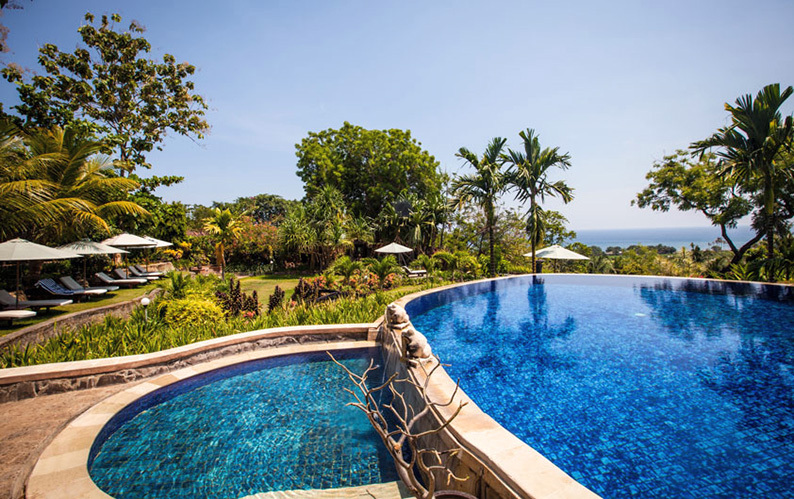 Discover how to entirely rest and recharge at a magical getaway surrounded by lush tropical forests and the Indian Ocean in the southern part of Bali. Give yourself a chance to reset and to break away from routine whilst being pampered with care. A pre-retreat questionnaire is needed so that your stay can be customised to suit your individual requirements so you are able to let go of any negativity or stress. Find ways to combat stress in your life with recommendations and practices from wellness professionals. Soothe your soul with massage treatments, holistic therapies, Yoga, Tai Chi and Pilates to elevate any stored tension in your body. When it comes to food you’ll be able to feast upon organic, gourmet meals tailored to your dietary requirements whilst supporting your immune system and digestive health. When your stay comes to an end you will be able to return home feeling ultimately and blissfully reinvigorated, with all the tools you need in to tackle whatever life brings your way. Set above the vast Bali ocean nestled between vineyards and vibrant rice fields lies a retreat waiting to take you to another world. The award-winning getaway, Zen Resort brings Ayurvedic healing and harmony to everything they offer. Discover the beauty of the underwater world of exotic fish and colour coral reefs whilst learning how to scuba dive from on-site PADI diving instructors. This is suitable for complete beginners looking to try something new in a safe and relaxing environment. Enjoy daily sunrise meditation and yoga sessions in the open air shala amongst breathtaking scenic views. Get acquainted with yoga’s sister science, Ayurveda, with a wellness consolation from the resort’s resident Ayurvedic doctor. Understand your dosha and constitutions so that you can make positive and effective lifestyle changes to take away with you. Dine on a fusion of local and global flavours from organic produce throughout the day or under the stars. Let Zen Resorts and the surrounding landscape bring you real peace and real harmony.